One of the highlights of living in, or visiting, Speculator, N.Y. is the great fishing available at the many local area lakes and streams. If you’re an avid angler, you’ll be glad to know that you can find all the fishing tackle and supplies you need at the Speculator Department Store, located right in the heart of Speculator. 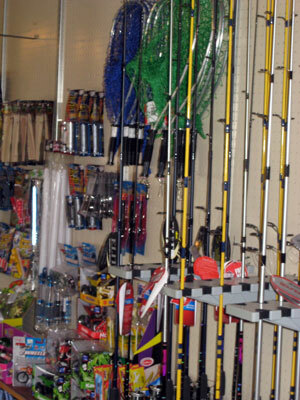 We carry a variety of fishing poles and supplies, aimed at making your next angling expedition a successful one. So, before you head out to the lake for the catch of the day, head to Speculator Department Store for your fishing tackle and supplies. We’re sure you’ll find everything you need to make your next “fish story” a true one!